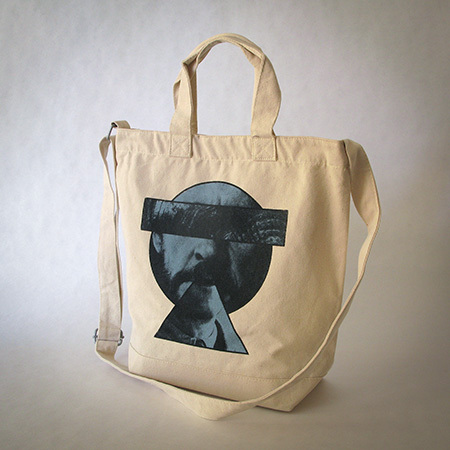 In spring 2015 Latitudes celebrated its 10th anniversary and we are delighted to mark the occasion by presenting a set of four silkscreened tote bags featuring special designs by four artists with whom Latitudes has collaborated over the past decade: Ignasi Aballí, Mariana Castillo Deball, Lawrence Weiner and Haegue Yang. 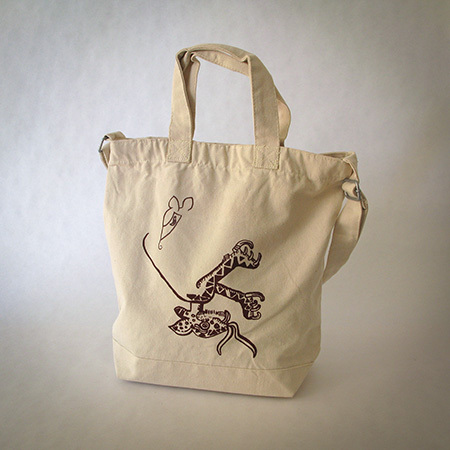 The bags are made from natural durable cotton canvas with a reinforced base. 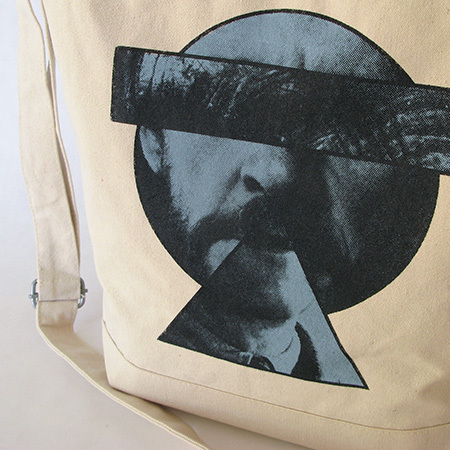 Each tote features a press-stud closure, an internal pocket with a zip (never loose your keys again! 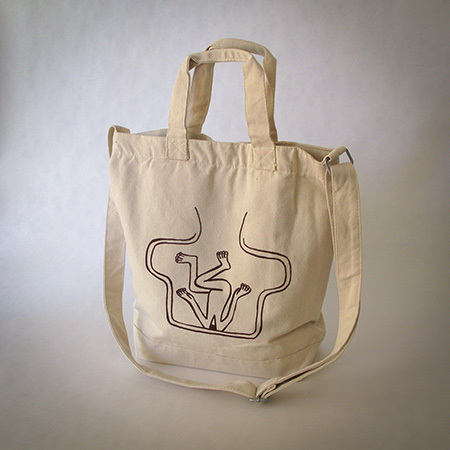 ), an adjustable shoulder strap, as well as smaller handles for carrying like a briefcase. 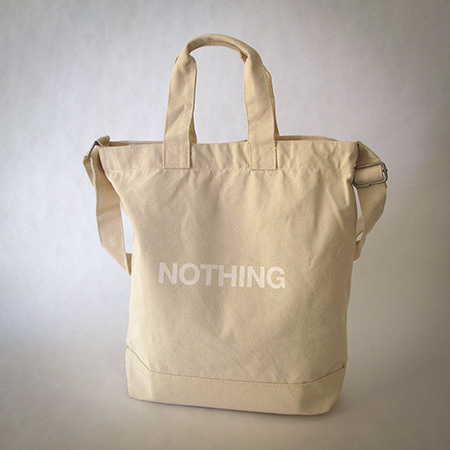 The full tote edition has been featured in the exhibition “A short history of the art book bag (and the things that go in them)” (24 August–24 October 2015) at the Asia Art Archive in Hong Kong curated by Ingrid Chu (Curator of Public Programmes). 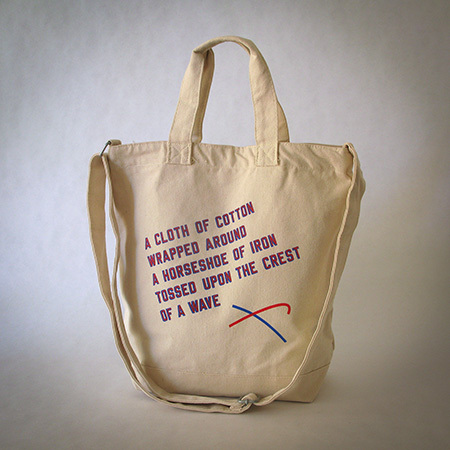 In 2018, Lawrence Weiner's THE CREST OF A WAVE tote bag became a part of the Tate Archive and was exhibited at The McManus Museum and Galleries, Dundee, Scotland (2 November 2018–17 February 2019). EDITION: 35 + 5 A.P. En la primavera 2015 Latitudes cumple 10 años! Para celebrar la ocasión presentamos una edición limitada de cuatro bolsas serigrafiadas a mano con diseños de artistas con los que Latitudes ha colaborado en la última década: Ignasi Aballí, Mariana Castillo Deball, Lawrence Weiner y Haegue Yang. Las bolsas están hechas de tela de algodón natural duradero y tienen una base reforzada. Cuentan con un cierre de botón de presión, un bolsillo interno con cremallera (¡no volverás a perder tus llaves! ), una correa ajustable así como asas pequeñas para llevar como un maletín. 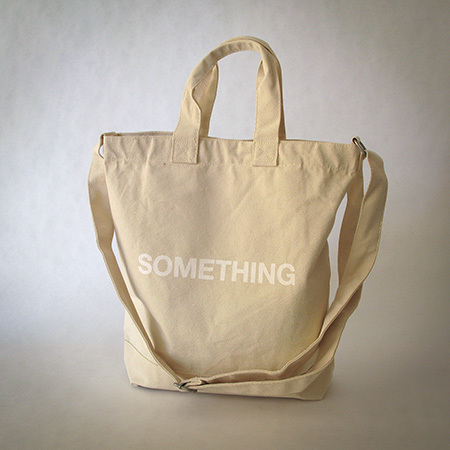 La edición completa ha sido incluída en la exposición “A short history of the art book bag (and the things that go in them)” (24 agosto–24 octubre 2015) en el Asia Art Archive en Hong Kong, comisariada por Ingrid Chu (Comisaria de programas públicos). 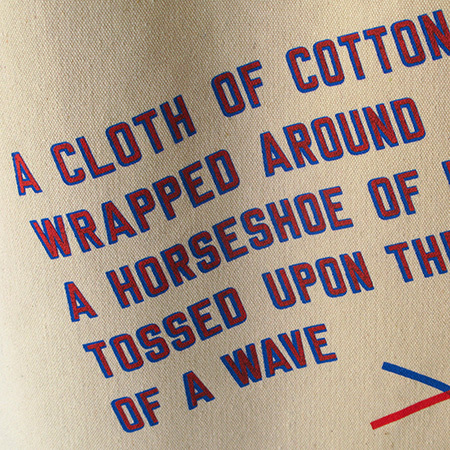 En 2018, la edición de Lawrence Weiner, THE CREST OF A WAVE ha sido adquirida por el Tate Archive y expuesta en The McManus Museum and Galleries, Dundee, Escocia (2 noviembre 2018–17 febrero 2019). EDICIÓN: 35 + 5 P.A.